Returning to British Colombia's Kootenay mountains warms my heart with memories of happy, simple, generous people, living in a land of deep dry powder. 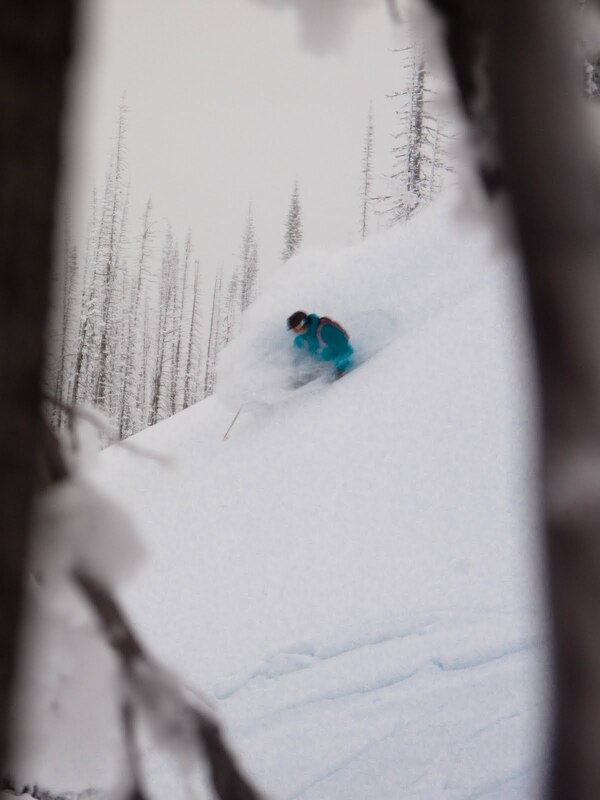 So when bro Dave invited me to join him and Jordan Manley on a return trip to Monashee Powder snowcats, I graciously obliged; and we embarked on a quest to complete our hat-trick of deep pow shots amidst an eerie setting of burnt forests. Tom and Carolyne's tip from an old trapper about the snow quality and terrain was advice well taken. And with finances saved from years of happy return clientele, a new lodge was constructed, rounding out the luxuries of our experience. In past years, Dave and I found substantial cliffs to drop, setting benchmarks for other airs to measure against; but with a thinner snowpack, and Dave's recently broken collar bone, we focused on Manley's artistic vision of ski photography. By our final cat ride, we were pretty tired from the 'hard work' required to create some spectacular photos, which Jordan will unveil throughout the 2011/2012 season's publications. And we are once again very grateful for the amazing hospitality by all the staff, and the friendliness of the guests and Catski Canada. Check out Jordan's video of our trip, and stay posted for more photos.